Sebastian Lelio follow-ups his Oscar winner ‘A Fantastic Woman’ with a faithful adaption of Naomi Alderman’s novel with an enthrallingly restrained look at faith, grief and regret. The exiled daughter Ronit (Rachel Weisz) of the local Rabbi of a Jewish Orthodox community in London returns from New York after her estranged father passes away during a sermon. A frosty welcome beckons from former best friend Dovid (Alessandro Nivola) and her community. Her unexplained exile across the Atlantic becomes apparent when she is reintroduced to Dovid’s dutiful wife, another former best friend Esti (Rachel McAdams). A tension is apparent between the two, as well as chemistry that simply isn’t there between Dovid and Esti. Ronit has been living a different life than those she left, she is practically bohemian in her attitudes in comparison to her former community. This is plainly evidenced when she attempts to embrace Dovid, but he objects due to their religion. Later she notices that Esti is adhering to the rule of wearing a wig in public. Her community hasn’t shunned her, but they make sure she knows she isn’t welcome at least until they know what her intentions are. She is too unpredictable for them, has been gone too long doing who knows what, but they loved her father too much to send her away. The ability and downright confidence of Lelio in his English language debut to show the confliction that all three actors endure throughout the film the events of the drama is high and it is evident that he will continue to be a director to watch out for as his career continues. Lelio keeps the colour tones muted not wanting to distract the audience from the story, the framing of every scene has been given careful consideration and every shot feels intimate, we are intruding in the lives of this trio, much how Ronit has intruded back into the lives of her community. Lelio and Lenkiewicz successfully walk a precarious enough tightrope in making sure that, as the novel it is based on, it is respectful to the faith in which the story centres on. Losing her sole remaining parent renders Ronit broken and her actions while still in New York reflect that. She can’t control the grief she has, perhaps she has only been able to let out all of her frustrations and pain now when her father is gone than to him and around her community. It is evident she wants acceptance by the community she left and while they may give her it over time, she needs it now to help her through this time. It is easy to see why Weisz chose to star and produce the film with a character as complex as Ronit available. Weisz gives a nuanced and considered performance, although Ronit is obviously enjoying her freedom of escaping her former community, she evidently also does not want to be alone and realises, perhaps too late, that completely exiling oneself from everything she knew is never the best way to heal, evidenced throughout the feature. It is a very good performance and not the only one in the film. Esti can only dream to be Ronit, and she was left behind and never had the chance to be as free as her former lover now is. She became the person her community expected her to be but that freedom still lives deep inside her and McAdams plays the role beautifully, keeping Esti’s want to be her own person bubbling just under the surface enough that her community and husband fail to see it until Ronit’s return. She continually has to ask herself whether she is brave enough to make that jump with Ronit or if it is better to break her own heart or break the hearts of others? Throughout the film, we can clearly see this decision loom over her. It is a commanding performance and very much one of the best of McAdams career. One person who shouldn’t be forgotten in this triangle is Dovid, wonderfully played by Nivola, who simply fell in love with his best friend and has only tried to provide a loving life for them both. It could have been a very easy choice to alter Dovid’s character to become the antagonist as so many other films have done with a forlorn lover story. 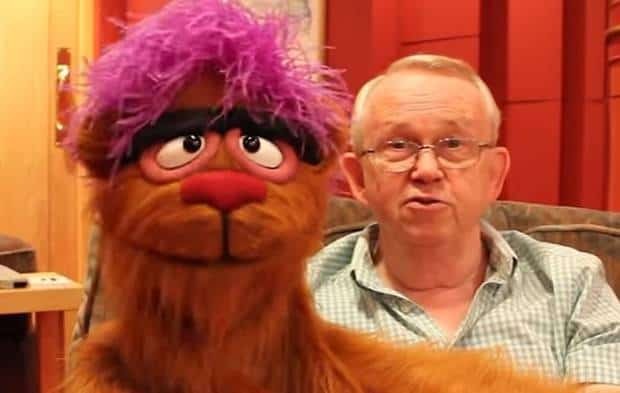 Angry to see a friend who left him and angry that she never came back until his mentor passed away. But, by keeping Dovid (and in truth anyone) away from that unenviable role and making him someone who is just trying to work out what to do in his current predicament. While also trying to juggle the role of a husband, a friend, and also the pillar of his community, Dovid has too much to handle and he tries to keep everything moving reveals a lot about him. 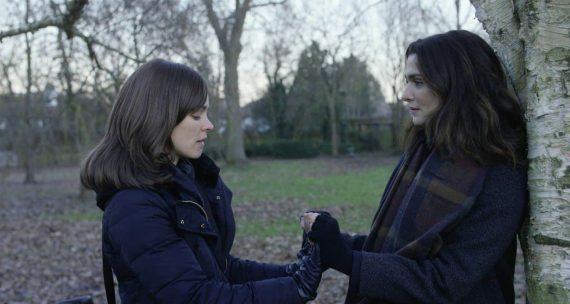 Disobedience slowly unveils itself to be very much a film about three people who rightly or wrongly have to now face their past choices. 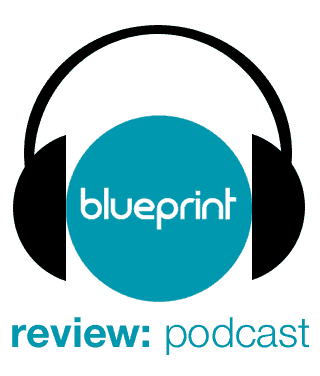 Should Dovid have given in to his family to become a rabbi? Should Esti have chosen to conform to the role of wife that was widely expected of her? Should Ronit have stood and fought for her beliefs instead of fleeing London from her friends and widowed father? Your heart breaks for all three of these characters and no matter what choices the trio made back then, they have new choices to make now and those choices are waiting impatiently to continue the next chapter of their lives. 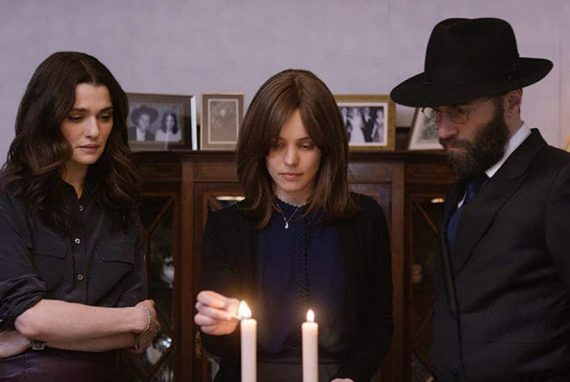 An extremely well-received film by critics, sadly for Disobedience, it took over 7 months from the US release to make it to the UK which is a great shame. Also, it never got as wide a release that it deserved and thus hurt its box office. Being released the same weekend as Avengers: Infinity War could have helped its box office as if it was released a bit wider (only 247 screens in the US) it could have been an excellent counter programme. It also could have been in the mix for some awards if it had been released at a better time of year. But alas, that was not to be and with some luck, the film will receive the love it truly deserves on Blu-Ray. Sadly special features are slightly bare on this Blu-Ray, and it is a damn shame too as I would have loved to have heard what the author had to say and a bit more insight than some generic interviews and a short featurette on production around Hendon in London. But in truth, if you are buying the Blu-Ray (which you should) you are not coming for the extras as the film is more than enough to satisfy you.